Camptosaurus name was taken from Greek language means ‘Bent Lizard’. 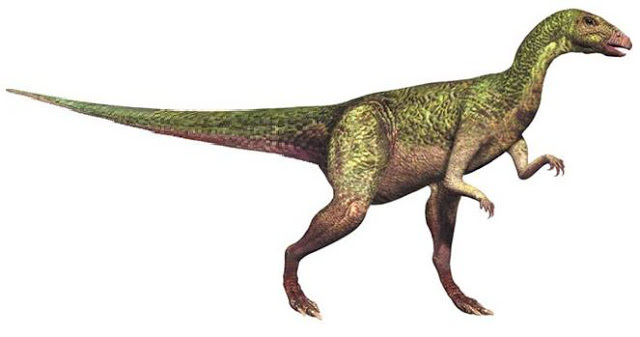 Camptosaurus was a plant-eater dinosaur that lived during the Late Jurassic period about 156-140 million years ago. The physique was looked a lot like Iguanodon. It was a heavy ornithischian dinosaurs with 3-4 feet high and 5-7 meter in long. Weighed about 1000kg. It had a horny beak, hundreds of teeth and long snout. Its arms were shorter than its legs, it had five-fingered arms and four-toed feet. It could walk on four or two legs. Camptosaurus’ intelligence was midway among the dinosaurs. It was an ornithopod. This dinosaur was a plant eater dinosaur. It had strong teeth in the side of its jaw, but had no teeth in the front of its mouth. The Camptosaurus fossils was found in Europe and North America. Named by Othniel C. Marsh in 1885. Nowadays, many fossils are unearthed and have been found in the United States, United Kingdom, and England. Specifically in the United States, Camptosaurus fossils have been found in Utah. 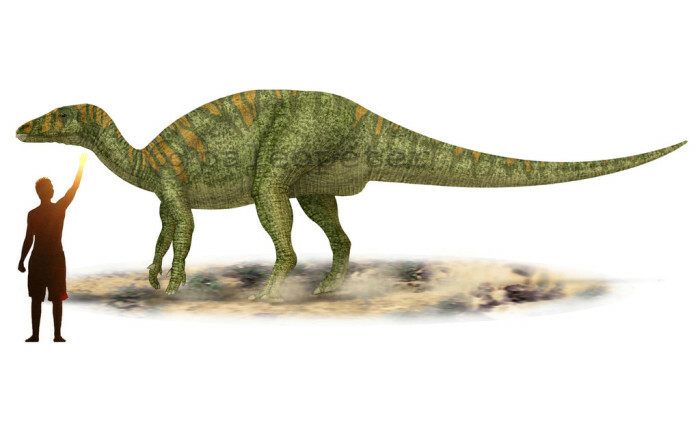 This herbivore was probably close to the ancestry of Iguanodon and Parasaurolophus in the Cretaceous era. 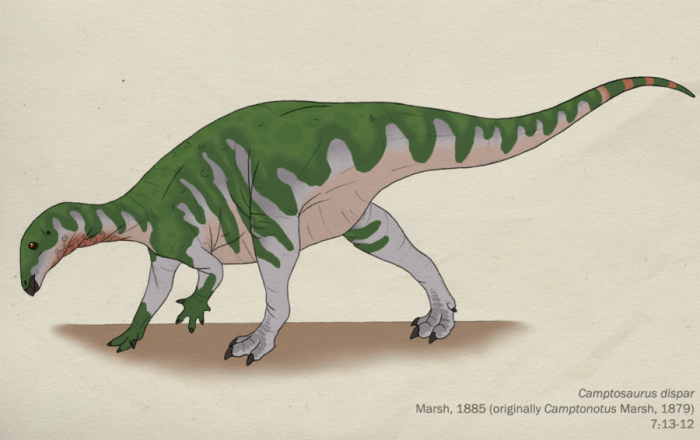 Like its descendants, Camptosaurus lived in herds to hide and get protection from Predators.